Set atop a cliff and surrounded by mountainous grey, the historical town of Ronda offers quite a view of southern Spain. 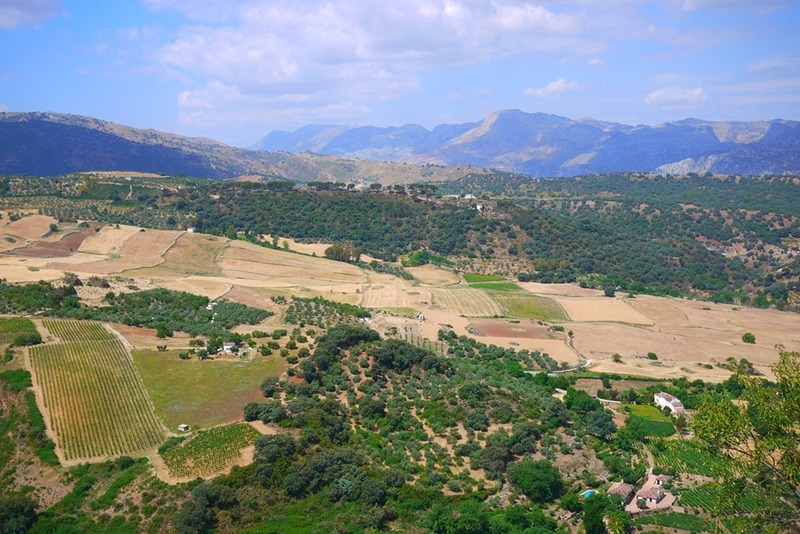 As the pale morning sun breathes colour across the horizon, an agricultural patchwork of olive groves, vineyards and fawn grasses can be seen in the valley below. Behind me, the little town is still sleeping, with only elderly walkers and bands of before-school students to be found in the 7am parks and streets. 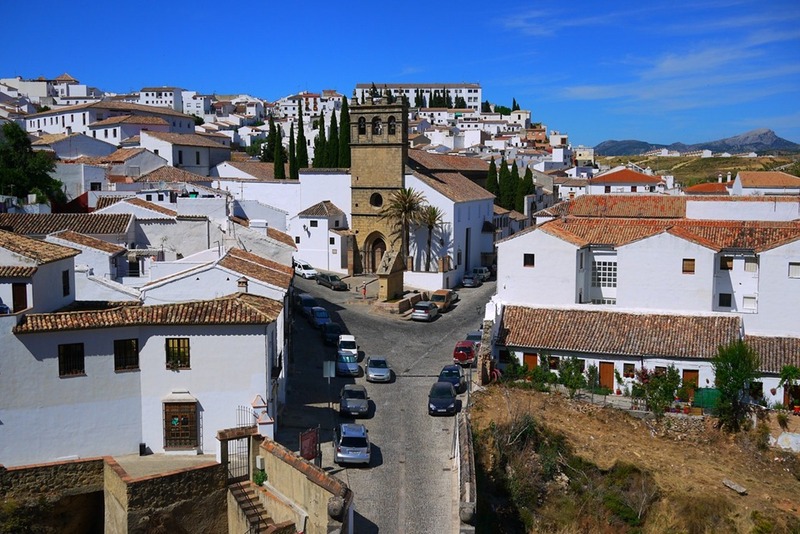 With three nights in this pleasant mountain town, I spent most of my visit just walking: wandering past sights, taking some photos, observing the locals and exploring the rural tracks and cobbled streets of Ronda. Here are a some of the walking routes I took during my adventures. Ronda has some impressive old stuff and a lot of historical charm to go with it, making a DIY walking tour of the historical highlights a really enjoyable day out. 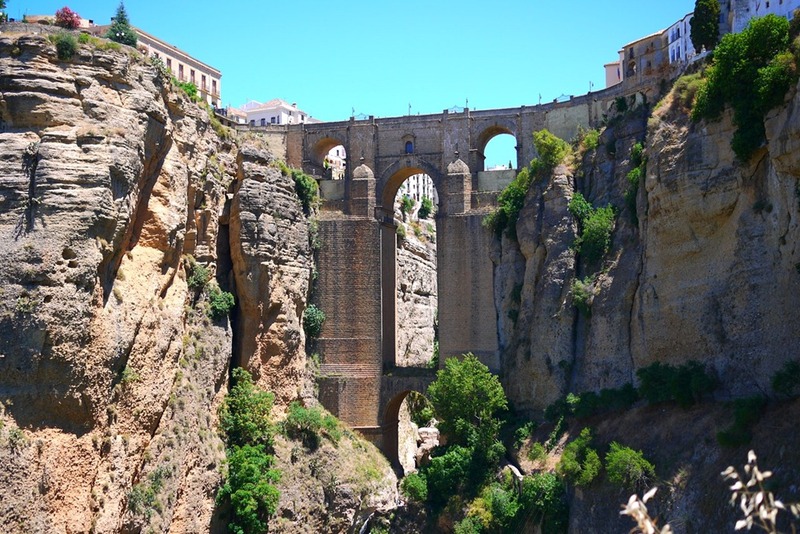 Starting in the new city centre, make your way over the ‘famous ‘new bridge’ (also known as Puente Nuevo), which spans the chasm known as El Tajo. Contrary to what the relative name suggests, Puente Nuevo was built quite a while ago, in 1734 to be precise. This impressive structure towers more than 100 metres above the canyon floor and can be found on the cover of most Ronda tourist brochures…as well as in the gap linking the new city and old city. Once across the bridge, you will find yourself in the historical quarter of Ronda, an artisan-filled area of narrow alleys, mature vines and Moorish past. Explore the lanes sprouting from the main road, taking special care not to miss the first right turn after the bridge, which leads to you a courtyard of cafes and a viewpoint. Below that viewpoint is a paved path that leads down the hill. For a view of the bridge that beats the ones shown in tourism brochures, turn right off the main route, down a dirt path that hugs the cliff. While quite a wide path, it is made of rubble, so be sure to take extra care as you follow it down to the little cascade at the base of the chasm. More historical delights can be found back up the hill and on the other side of the main road in the old quarter. Taking a left a few streets along the main road, after crossing the bridge from the new city, you will meander downhill, towards Ronda’s ‘old bridge’ (also known as Puente Viejo and Arab Bridge), which dates back to the Arab occupation in the 16th Century. On this side of the old city there are more viewpoints, some churches, some gorgeous crumbling houses and a bridge that leads back into the edge of the new city. I heard that Ronda offered some great rural walks and mountainous hikes, so upon arrival, I hit up the very busy tourist office near Plaza Toros (the big round bull fighting arena) where I was sold seven local walking maps for the bargain price of 5 Euros. The one we ended up walking took us on a circular trail out of town, which was only a couple of kilometres in total. Start by making your way though the historical quarter and Espiritu Santo district, to the south gate in the old city walls. Take a left along the road as soon as you exit the gate. This road will take you out of town. Along the way is a quaint Spanish villa on the right, which is complete with vegetable garden, a well and an old man in his blue and white striped boxer shorts. 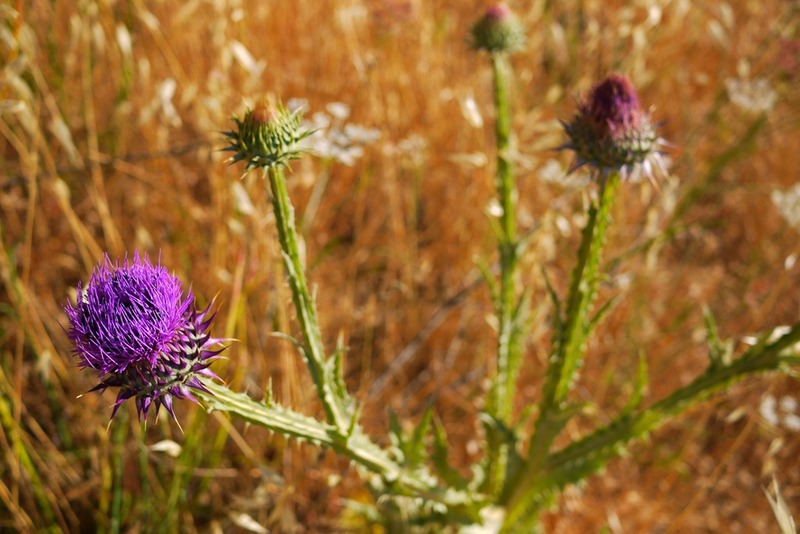 The roadside path is edged by swishing honey fields, cactus plans that span meters in all directions, bright purple thistles, giant dandelions and Australian gum trees that reminded me of home. Up the top of the big hill is a right turn that leads towards a housing estate and residential village. This is the start of the circuit that will lead you through a real-world adventure of rural Ronda. 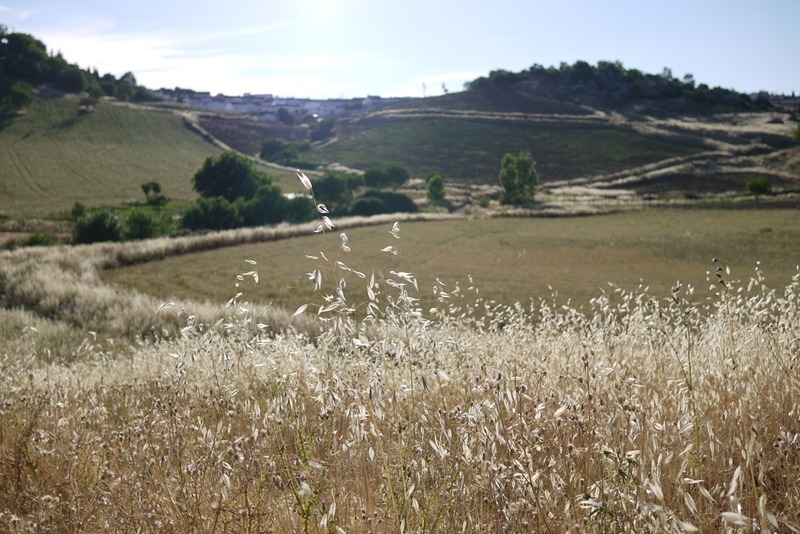 Although not as charming as most published walks, this trail offers an interesting view of life in rural southern Spain. 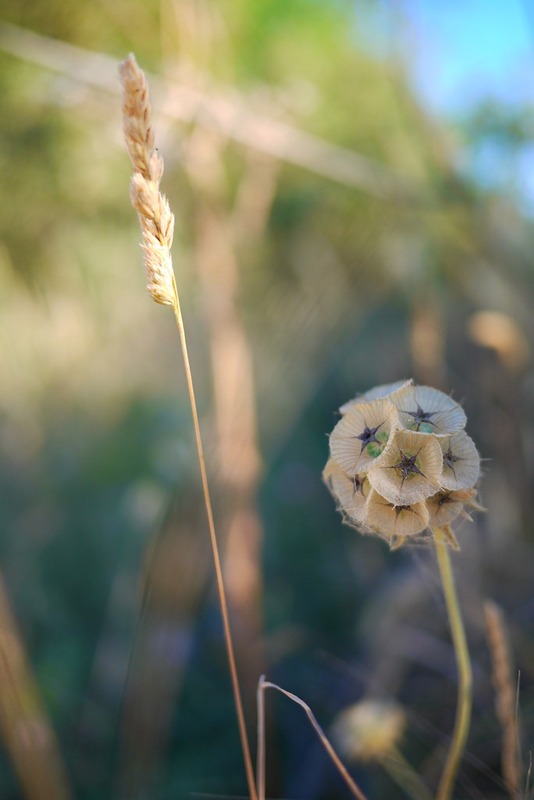 We walked past barking dogs, rusty fences and piles of concrete rubble, but we also saw orchards and ponies and delicate dry flowers that shone in the late afternoon sun. On the way home, we stopped for some tapas and wine in the plaza opposite the south gate that leads back into the historical quarter. Filled with locals in the pink dusk, and serving tapas and wine for 1.50 per serve, this was a lovely way to finish a walking adventure. In my effort to restore some kind of regular cardio workout to my blessed travel life, I went for a little run in the early Ronda morning. During this little burst of energy, I learned a couple of things: 1) my Camino fitness had been severely harmed by subsequent serves of Spanish ice-cream and days of beach basking; 2) people don’t really run in Ronda, or so I gathered from the apparent lack of other runners and the strange stares I attracted from the many groups of walkers; and 3) sweeping vistas and steep stone steps make for wonderful running circuits. 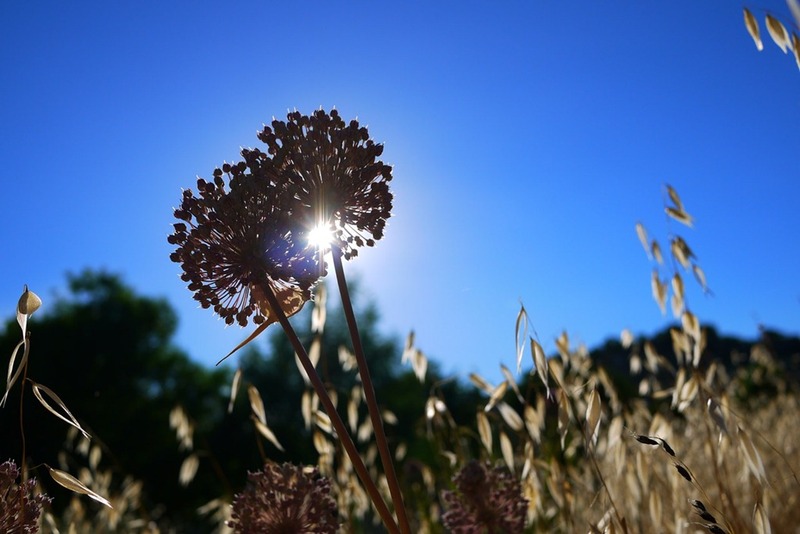 What I can recommend to you after such lessons is to check out the 180+ degree views afforded by the cliff-side path at Ala Meda de Tejo, which is the edge of the big leafy park in the new city. One of my favourite ways to see a city is by walking the night-hushed streets. Sometime after the festive buzz of early evening, following the warm glow of dinner and just before the blissful calm of midnight, the streets reveal a new face. 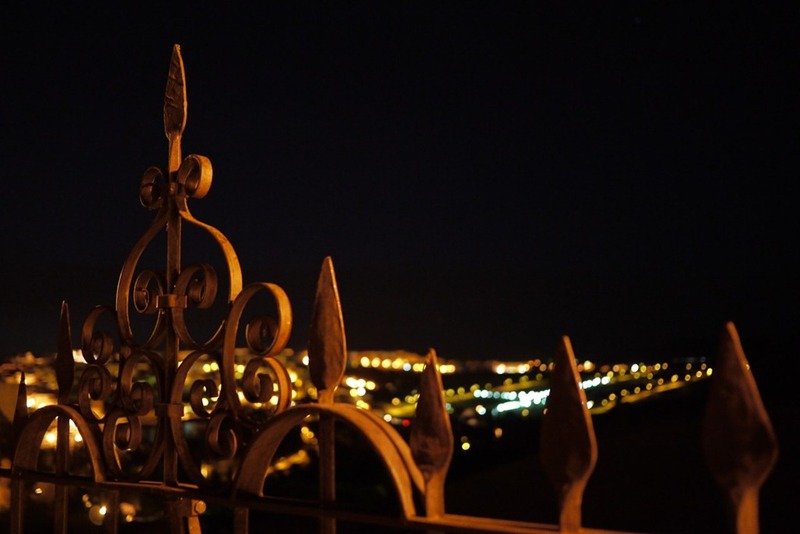 Softly lit by lamps and unpolluted by crowds, the evening streets are full of simple satisfactions…and often a wonderful photo op. or two. 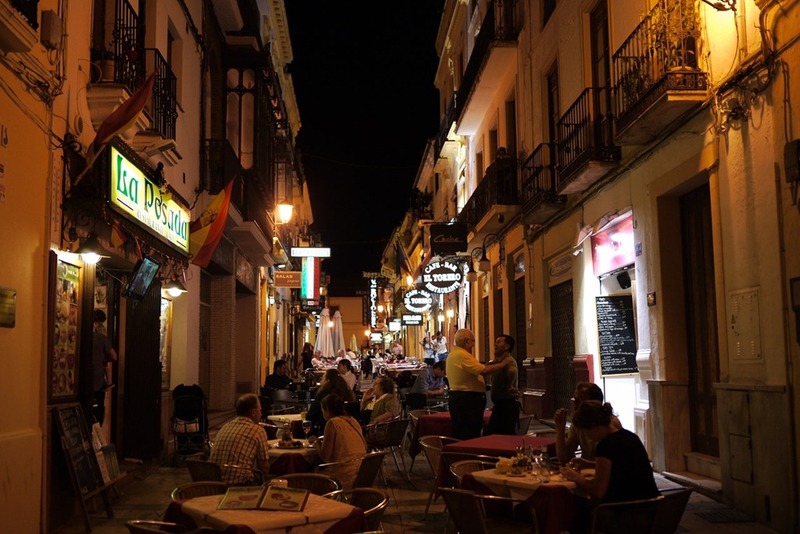 Ronda is a reassuringly safe city, with well-lit streets and a good amount of people making their way home until the 12pm. 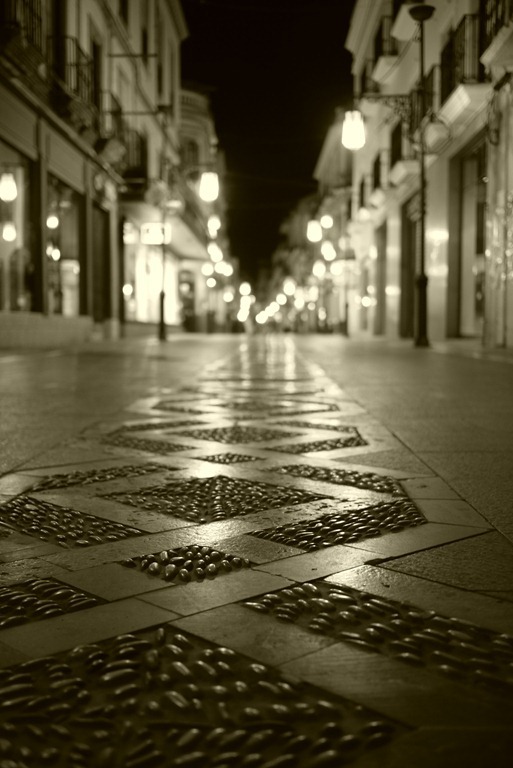 This means that the new city plazas and old city streets feel quite welcoming for a late night stroll. If you walk through the main commercial district and over towards the ‘new bridge’ you can also steal a lovely view of dotted lights in the black space below Ronda. A special, warm, cuddly thanks to my walking buddies Bec, Fraz and Dave, who brought all sorts of wonderful insights, navigating skills and photography patience to our adventures. Also, a special mention to Fraz, whose research savvy and sheer determination to get down the hill found us a fantastic trail to see the underside of the new bridge. I use the Lumix GF1, the first Lumix model of its kind, which is only really available on ebay now. The newest model, Lumix GX1 looks really lovely too, better than the model in between I think, and is a little smaller to grip. My lens is the 20mm pancake, so it has no zoom and a wide frame and is really good for low light and portraits. I would like to get a medium length lens too, for greater focal depth and for better landscape shots. (Sometimes landscapes get a little lost, shrink a little, in the pancake lens). Dave sought out this wonderful camera, and then proceeded to convince friends and family (and me) just how wonderful it is, to the point where Rach and Brett also have one (the model in between ours and the newest). I personally love it and recommend it! I love the three walking routes you recommended–my favorite way to get to know a place as well. Thank you. Looking forward to reading some more of your stuff. I can’t get enough of your travel log/ journal ~ thank you so much! Lovely Nic! Can’t wait to head over and see for myself! Countdown is on! Thanks Brad. I enjoyed your article too. Thanks for sharing! How wonderful is Rhonda? It was quite an unexpected highlight in southern Spain. 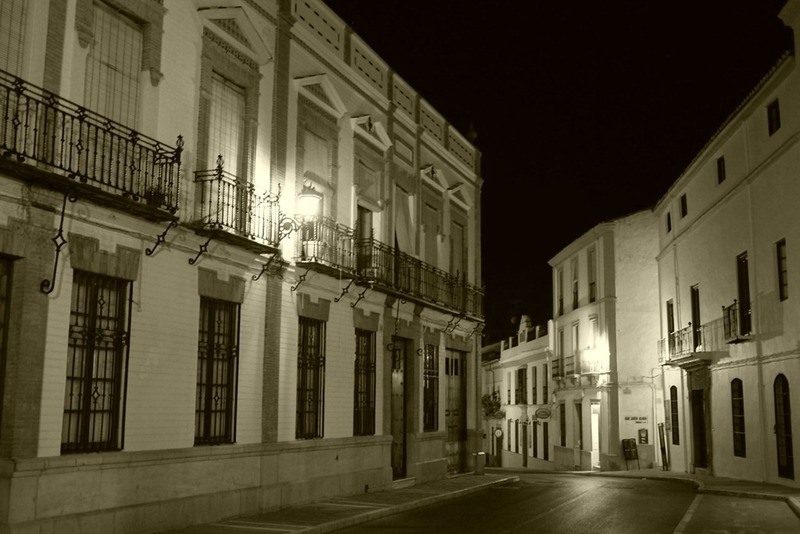 I was in Seville for 5 months and never made it- that’s part of the intention of my website, to create a database of places to go to a bit off the beaten path that are easy to miss, that I and others regret never making it to! I’m now following you, your posts are pretty incredible. we should collab. some time, my audience would love some of these hiking/travel destinations. best of luck!